THE North of England’s rarest, best preserved and most historically important signal boxes have been given Grade II listed status as part of a project to safeguard the nation’s railway heritage. The Department for Culture Media and Sport listings come as Network Rail replaces mechanical signal boxes with 12 regional signalling centres. Shortly before the First World War signal box numbers peaked at about 13,000, of which fewer than 500 are still operated by Network Rail. The five listed boxes in the North East and North Yorkshire come in a wide range of styles and many retain their original operating equipment and have become popular local landmarks, while others have been listed partly for their historical importance. A signal box in Cumbria is awarded Grade II-listed status for its architectural merit and historical interest. Marston Moor closed nearly 50 years ago (17 September 1958) on the same day as nearby Hessay but still has a small signal box controlling the level crossing on the single line section to Poppleton. View towards Hammerton. 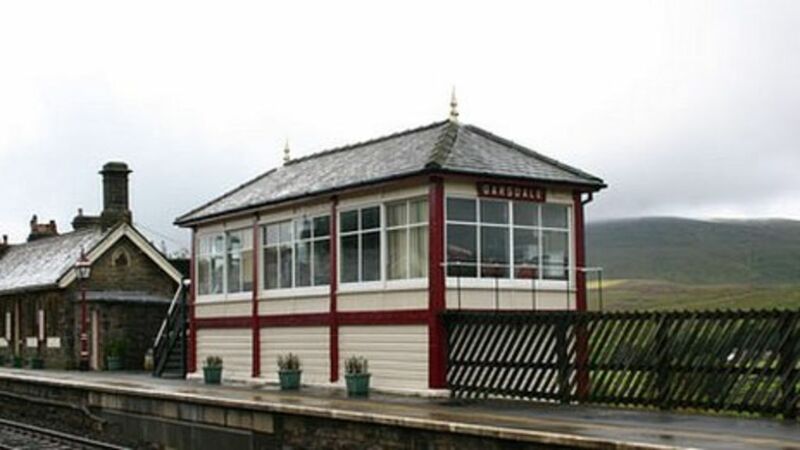 The signal box on the down platform at Garsdale in the autumn of 2004.